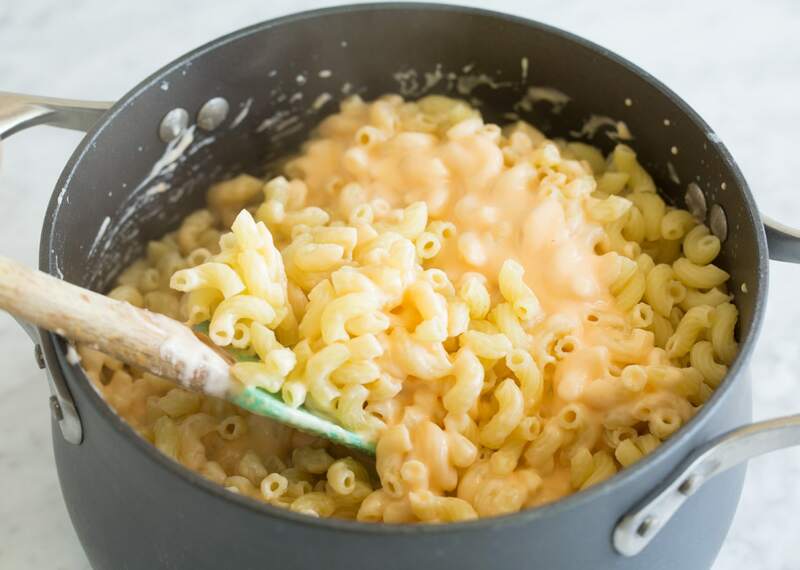 Mac and Cheese made from scratch is a million times better than a box. 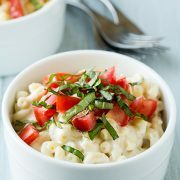 This macaroni and cheese is perfectly rich and creamy and it’s sure to be loved by people of all ages! This version is made on the stovetop and uses basic everyday ingredients. Mac and cheese is just one of those staple recipes we all grew up eating. 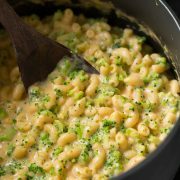 The version skips a powder and instead uses real shredded cheddar, mozzarella, and cream cheese for a rich and satisfying flavor. It’s total comfort food and it pairs well with just about anything. It’s easy enough for weekday dinners but good enough to serve at holiday get togethers. 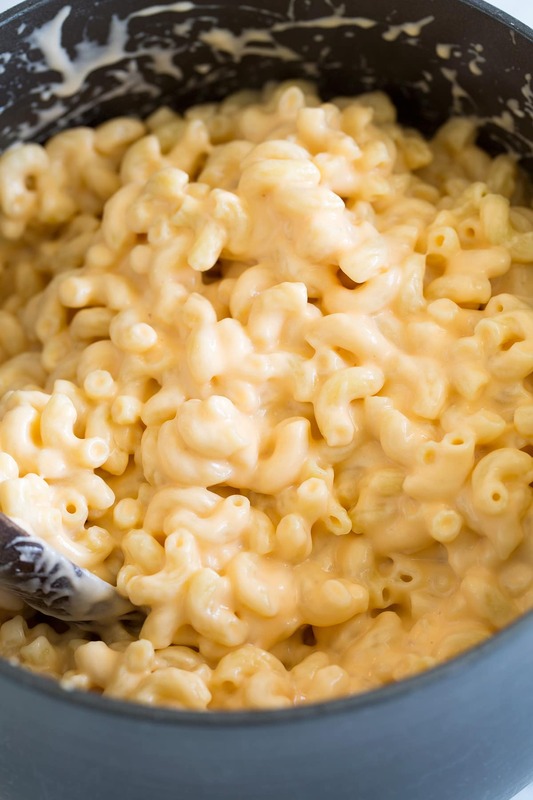 Here’s my go-to mac recipe. 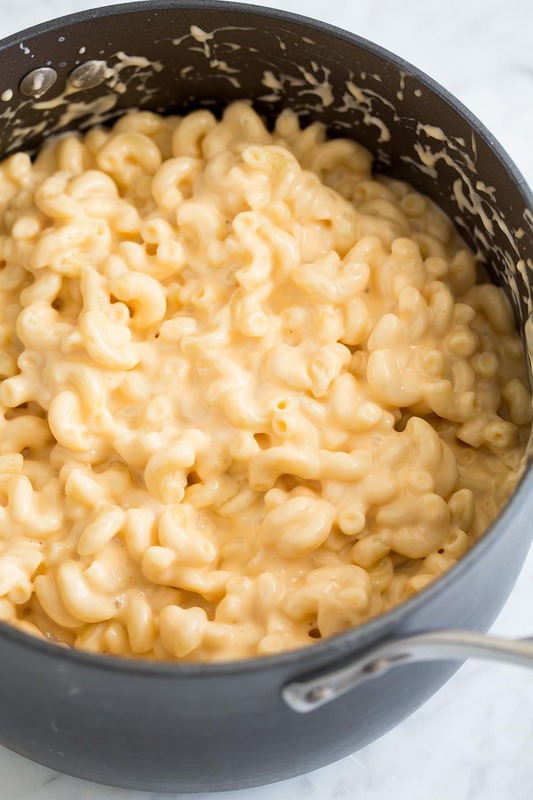 How do You Make Macaroni and Cheese? Cook pasta: bring a large pot of salted water to a boil, boil pasta to al dente according to package instructions. Drain pasta and reserve 1/2 cup pasta water. 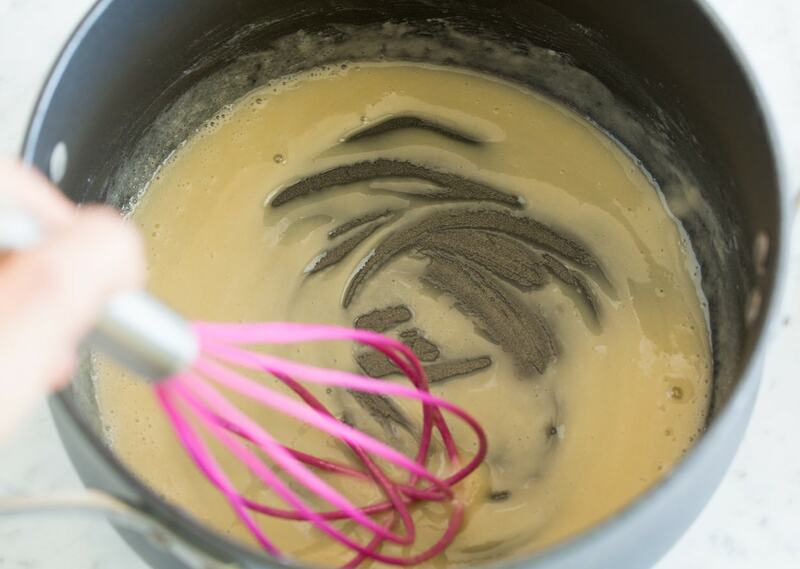 Make roux: while pasta is cooking, in a large saucepan (4 quart) or medium pot melt butter over medium heat then add flour, cook 1 minute whisking constantly. Make sauce: While whisking slowly pour in milk, add in mustard and garlic powder. Increase heat slightly, then bring mixture to a low boil whisking constantly. 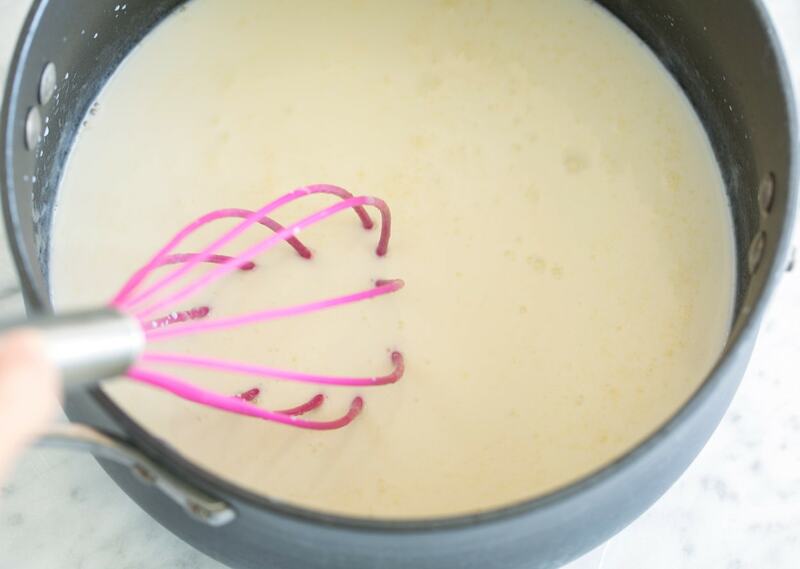 Melt in cream cheese: Reduce heat to low add in cream cheese and whisk until melted. 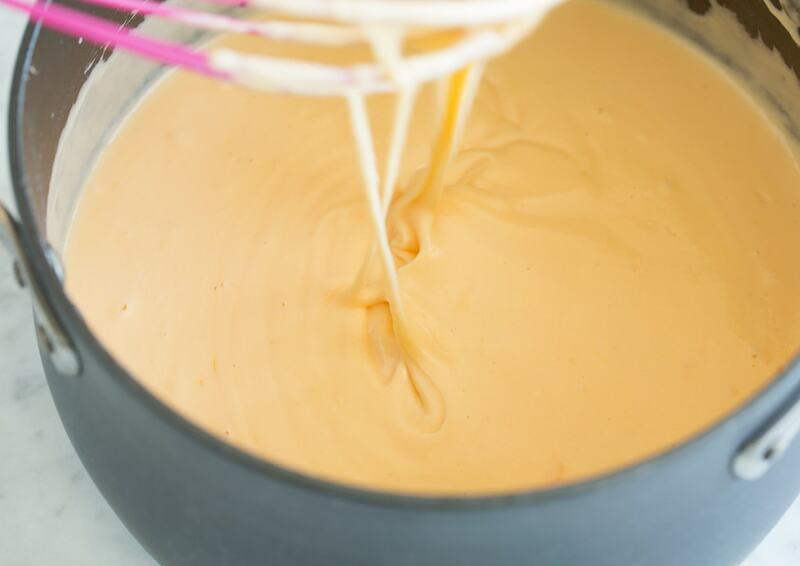 Melt in cheddar: Remove saucepan from heat add in the shredded cheeses half at a time, and whisk to melt. Returning pan to warm heat as needed to melt fully. Season sauce with salt to taste. Toss pasta with cheese sauce, thin with pasta water a splash at a time as needed. Serve immediately. 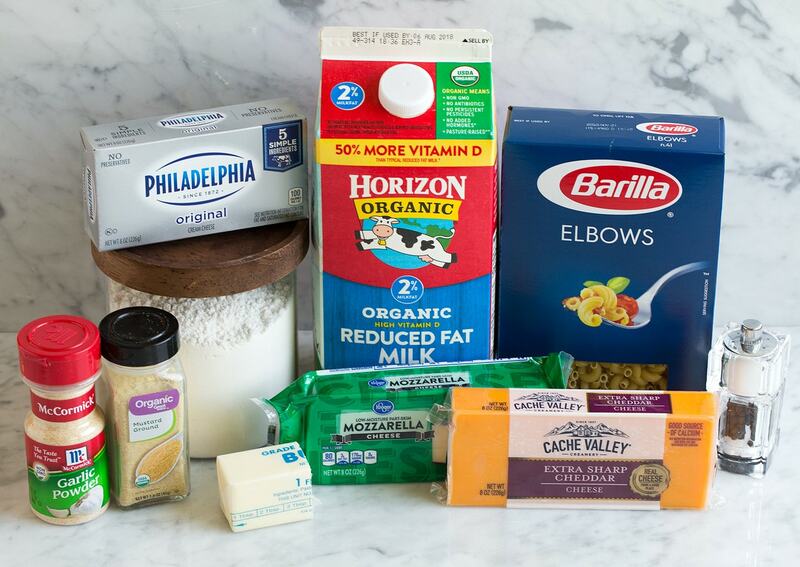 Use a blend of cheeses for a nice combination of flavor. Here we go with cheddar, mozzarella and cream cheese. Don’t use pre-shredded cheese or sauce might end up grainy and gritty. Shred it yourself for a nice smooth sauce. If you don’t have mustard powder substitute 1 tsp prepared mustard (regular or dijon). Don’t rinse the pasta. It adds starches and helps thicken up the sauce and keeps the sauce clinging to the pasta. Want a crunch topping? Try sautéing panko bread crumbs in a skillet in a little melted butter or olive oil until golden brown. Sprinkle over individual servings so it stays crisp. What Should I Serve with Mac and Cheese? 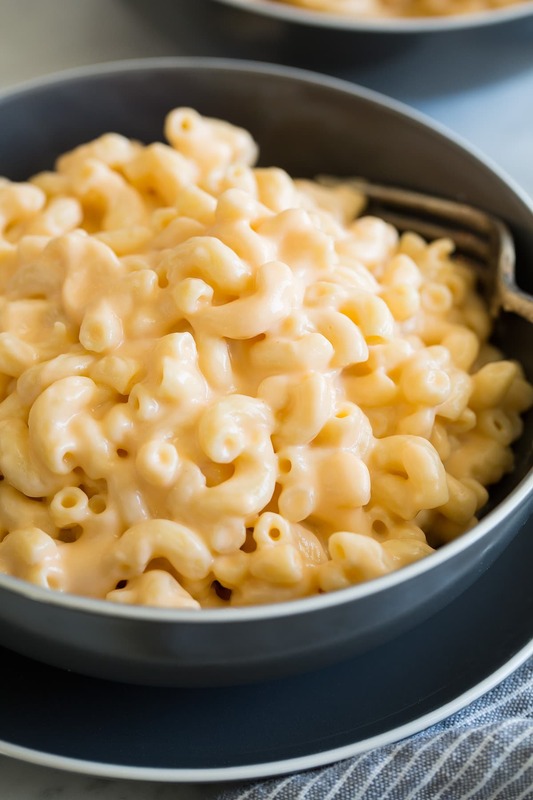 A rich and creamy mac and cheese the people of all ages will love! Includes three kinds of cheese - cheddar, mozzarella and cream cheese. Made on the stovetop for a quick and easy side dish. Makes about 9 1-cup servings. Bring a large pot of salted water to a boil, boil pasta to al dente according to package instructions. Drain pasta and reserve 1/2 cup pasta water. While pasta is cooking, in a large saucepan (4 quart) or medium pot melt butter over medium heat then add flour, cook 1 minute whisking constantly. While whisking slowly pour in milk, add in mustard and garlic powder. Increase heat slightly, then bring mixture to a low boil whisking constantly. Reduce heat to low add in cream cheese and whisk until melted. 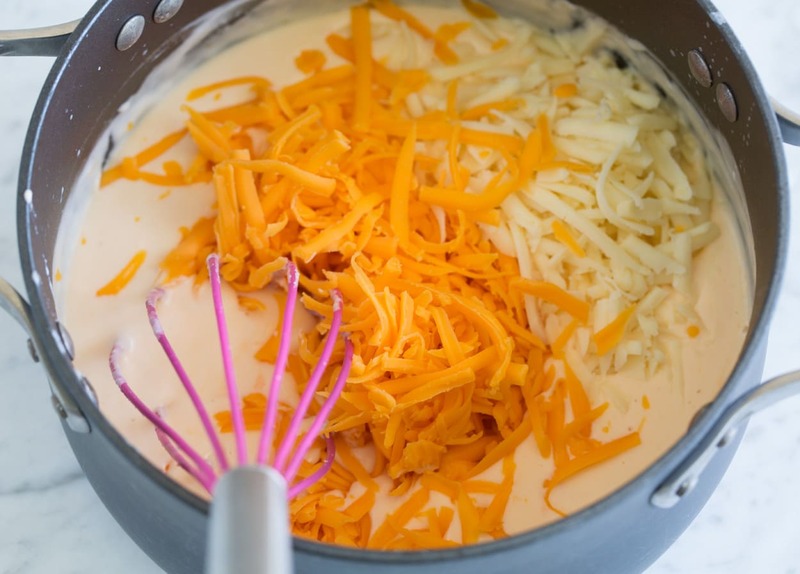 Remove saucepan from heat add in the shredded cheeses half at a time, and whisk to melt, while returning to warm heat as needed to melt fully.